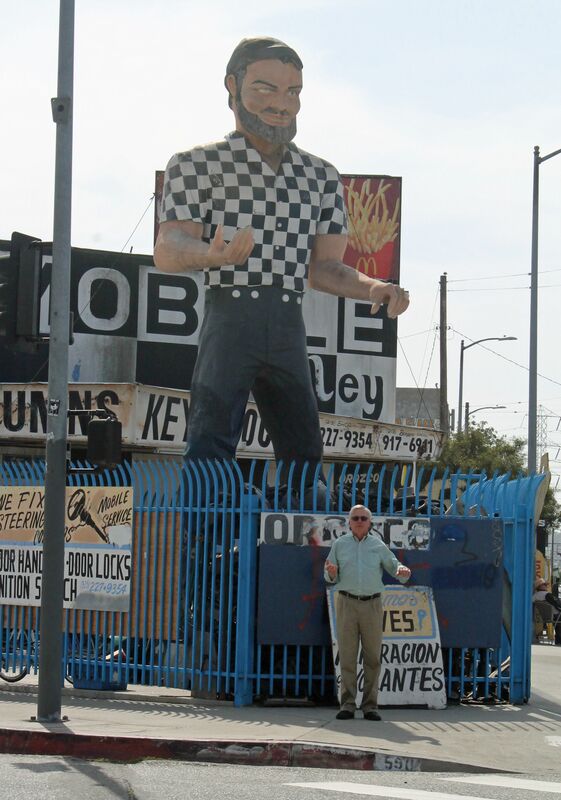 Sergio at Automotive Alley Garage – The Home of My "Big Things"
Planning a trip to Los Angeles starts with a visit to the Roadside America web site. That’s where I found Sergio. The automotive alley garage area is unlike anything I’ve see in the US. There is a 4 or 5 block area of shops selling car parts. While we were there I saw cars pull up and asked for a part for a model year car. For example, “I’m looking for an alternator for a 1996 Toyota.” It was like a drive-in for auto parts. All the people I could see were Hispanic and they were curious why a couple of white folks were on their turf.